Alison created a fun Valentine's Day printable in seven different colors and gave you three fun ways to use it. 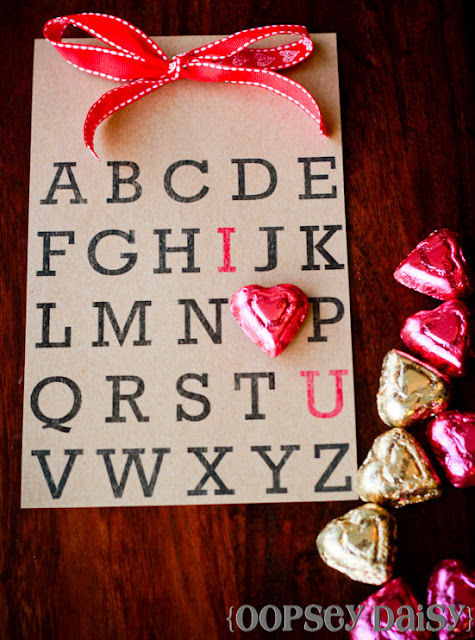 Frame it for a decoration, create a Valentine's Day card, or print it out an attach a piece of candy in place of the 'o' for a fun classroom alphabet valentine. You can check out all of the ideas and download the printable alphabet valentine over at Oopsey Daisy.